Love bowling? Love children's charities? Then you're in luck! You now have the chance to aim for that perfect game while you also help kids in need. 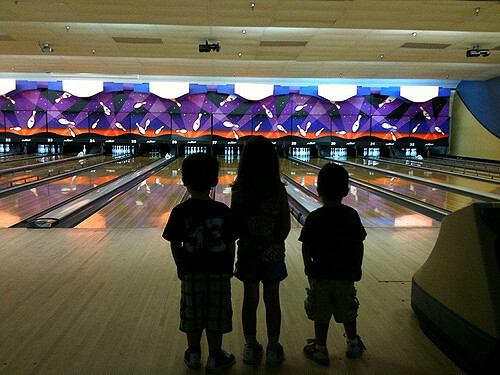 All are welcome, even if you usually bowl granny style with the safety rails up! Big Brothers Big Sisters of Mohave county is putting on it's biggest fundraising event of the year this Saturday. No need to own Lake Havasu real estate or a home in Mohave County to participate, just come spend the weekend in Lake Havasu and spend your Saturday morning helping kids before you hit the lake! Saturday, May 14th at 10am is when the fun begins. Join businesses, clubs, schools, community members and other organization to increase awareness and funding for Big Brothers Big Sisters of Mohave County - a great organization that gives youth the opportunity to take advantage of one-on-one mentorships. So don't miss out on the 14th Annual Bowl For Kids' Sake by putting together a team of 4-6 players per lane and meet the fundraising goal of $300! What time: 10am-1pm for the Big Brothers Big Sisters Event, 2-5 for the Business & Team Session known as "Call-Out Challenge"